SE200BLK Sport Marine Tech, Hydrofoil, SE Sport 200, Black. Will improve handling and provide better maneuverability with a smoother ride. Features Turbo Trac to enhance thrust and control. Saves fuel by cutting planing time by up to 50%. Reduces or eliminates porpoising and cavitation and keeps the boat on plane at lower speeds. Features one piece; high strength co-polymer construction with molded-in permanent decal. Stainless steel hardware and mounting template included. Manufacturer's lifetime warranty. 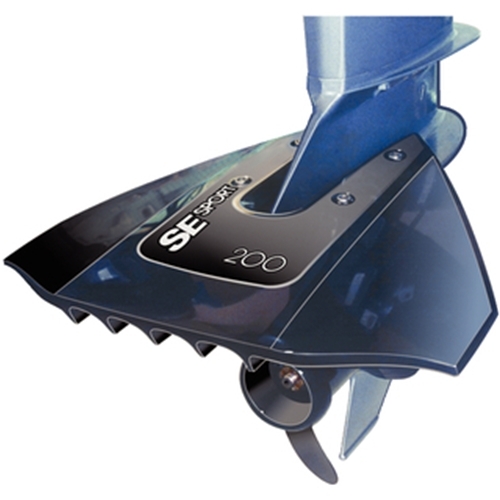 SE200BLK Sport Marine Tech, Hydrofoil, SE Sport 200, Black.